The Central Safety Group is a networking group of safety professionals from the Melbourne Central Business District and surrounding areas which meets monthly for lunchtime presentations by specialist speakers. Members have a common interest in improving all aspects of occupational health and safety in their workplace and keeping informed on key issues in their field. The presentations are held every second Tuesday of the month from February to November, at Level 1, 333 Queen Street Melbourne. A networking Christmas lunch is held in December. Kristen Richardson, Wellbeing and Safety Business Partner Team Leader, ANZ. Venue: Xchanging, Level 10, 390 La Trobe Street, Melbourne (near Queen Street). Many businesses have seen an upsurge in staff impacted by difficult customer interactions that may place them at risk of a physical or psychosocial illness. This has particularly been the case in the banking industry and is varied across customer contact, whether it is face-to-face or telephone interactions. ANZ Bank has a strategy in place to keep their staff safe from this risk and this will be presented by Kristen Richardson, Wellbeing and Safety Business Partner Team Leader at ANZ, at a lunchtime presentation on 9 April. The strategy looks at all aspects of staff safety – physical, psychosocial and most importantly the leadership culture shift required to enable this strategy to be successful. This strategy has been developed using external consultancy expertise and research across other industries. Kristen joined ANZ in mid-2014 and has been in her current role providing Business Partnering wellbeing and safety support across ANZ Australia Division for two years. Prior to that, she was Retail Wellbeing and Safety Business Partner at ANZ. She spent over seven years in senior HR roles with infrastructure company Golder Associates after being with Coles Supermarkets for 10 years as National HS Manager. Kristen started her career in nursing before studying OH&S at RMIT and doing further studies in change management. Speaker: Kristen Richardson, Wellbeing and Safety Business Partner Team Leader, ANZ. Note: When booking for the Event, please ensure you select the April Meeting from the dropdown list (shaded orange), to RSVP to this meeting. Members & non-members welcome to attend. Speaker: Richard Greenwood, RG Chemical Safety. Venue: DXC Technology, Level 19 (Board Room 1), 360 Collins Street, Melbourne. Key job market trends in safety in Australia will be the subject of a presentation at Central Safety Group’s first meeting for 2019 on 12 February. OHS recruitment specialists Rachel McGregor and Ebonie Martello of Safety People will give a presentation followed by a Q&A session with the audience. Save the date for our 2018 Christmas networking lunch! Join us in the grand surroundings of Parliament House Victoria and enjoy a meal showcasing the state’s fresh produce. Venue: Masters Builders Association, Training Room 1, 332 Albert Street, East Melbourne. Throughout Australia there is unprecedented growth in all areas of construction – commercial, civil and residential. This boom has created issues relating to knowledge, skills and competencies needed at all levels of the construction workforce. Speaker: Dr Ross Donohue, Senior Lecturer, Faculty of Business and Economics, Monash University. There has been surprisingly little research done on how inspectors assess health and safety in workplaces. Although the inspectors’ task is grounded in rules and regulations, there are few standardised measures to assist them. Dr Ross Donohue, our speaker on 9 October, has been doing ground breaking work on this. As a result Ross has developed a 7-item generic OHS metric checklist as a standardised tool to assist inspectors and has conducted research to validate this measure in a study undertaken with WorkSafe Victoria. Note: When booking for the Event, please ensure you select the October Meeting from the dropdown list (shaded orange), to RSVP to this meeting. Sit to Stand Desks - Verdict? Sit to Stand Desks - What's the verdict? 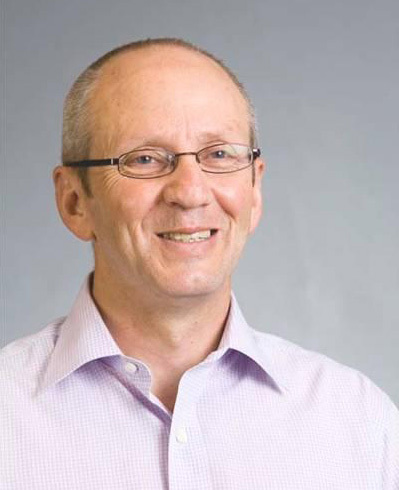 Speaker: Professor David Caple - OHS consultant and Adjunct Professor, Centre for Ergonomics & Human Factors, La Trobe University. Many organisations have invested in sit-stand desks in response to experts’ claims about the benefits, ranging from reducing the risk of cardiovascular disease and diabetes to solving back pain. Note: When booking for the Event, please ensure you select the September Meeting from the dropdown list (shaded orange), to RSVP to this meeting. Speaker: Les Cameron, WorkSafe Inspector, WorkSafe Victoria. Things have been happening at WorkSafe Victoria, including the relocation this year of its head office along with several hundred roles from Melbourne CBD to Geelong. This and other current changes, projects and priorities at WorkSafe will be outlined by seasoned WorkSafe Inspector Les Cameron in a lunchtime presentation on 10 July. Les will also have something to say about his work on the front line, discussing incidents and some new intervention programs now being tested. Injuries and fatalities from contact between people and animals are known to be a high risk in zoos worldwide. t do the latest data and developments tell us about the current state of OHS in Victoria? Barry Naismith, who has done a keen-eyed independent analysis, will share his conclusions at the Central Safety Group lunch meeting on 12 June. 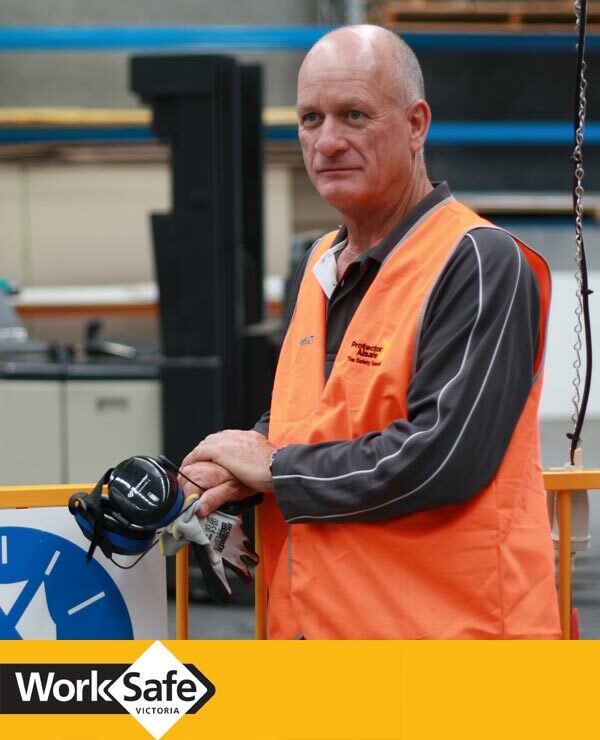 Barry was a consultant with the Victorian WorkCover Authority (now WorkSafe) for 14 years. Since then he has produced a number of independent reports into the operations and performance of WorkSafe Victoria. 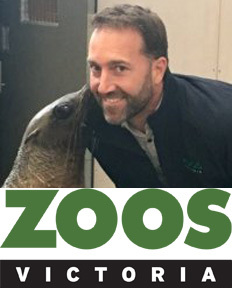 Speaker: Jason Hensel, Senior Safety Advisor - Zoos Victoria. At Zoos Victoria a special program for working with dangerous animals is being supported by Jason Hensel, Senior Advisor, Health and Safety, who will give a presentation on this subject to Central Safety Group on 8 May. Speaker: Conor Healy, Manager, Work Health & Safety - Jetstar Australia New Zealand. Manual handling injuries are some of the most common and costly injuries in the workplace. An account of how Jetstar Airways reduced these injuries by 40% will be shared by Conor Healy, Manager, Work Health and Safety, Jetstar Australia New Zealand in a lunchtime presentation on 10 April. Baggage handlers, cabin crews and engineering workshop teams all do a lot of manual handling at Jetstar, which now has 7,000 employees and is one of the world’s fastest growing airlines. Conor developed a multi-pronged program to reduce manual handling injuries and the risk of musculoskeletal disorders for employees working in body stressing environments. In two years he has found that the program has already made a significant difference. He will discuss the program and what the airline is doing to continue to gain improvements in this area. ISO 45001 is here – what now? ISO 45001 is here - What now? Speaker: Kevin Jones, editor of the SafetyAtWorkBlog. The new international standard for OHS Management Systems – ISO45001 – has been finalised and is due to be published in mid-March 2018. Many are claiming this Standard is a “gamechanger”. Kevin believes it’s not, but it is important and it does include support for some of the OHS Principles which are now considered essential for effective safety and health management. Kevin Jones, editor of the SafetyAtWorkBlog will be providing his perspective on ISP45001 and how it could fit with your safety management systems. He will be reviewing these features and inviting discussion, as well as providing handouts at the meeting. Speaker Frank Imbesi, Managing Director of AMS Consulting. Return to work for people who have suffered workplace psychological injury or illness can be a complicated and challenging process. The best-practice approach and potential problems when helping employees recovering from mental health issues will be discussed by Frank Imbesi at Central Safety Group’s meeting on Tuesday, February 13 2018. This area is of special interest to Frank, who has been working in in the field of return-to-work planning, management and support for many years and is Managing Director of an occupational rehabilitation company. Save the date for our 2017 Christmas networking lunch! Working At Heights - Regulations Safe? Working at heights - are the regulations safe? Speaker David Davis, Director, Working at Height Association. Falls are a major cause of death and serious injury in Australian workplaces. But are current safety standards and regulations adequate to ensure protection for workers? This important issue was discussed by David Davis, a member of the Executive Committee of the Australian Working at Heights Association at the November meeting of Central Safety Group. David outlined a number of concerns the Association has about current industry guidelines and standards, as well as areas where there is a need to raise awareness. This included his own review and critique of AS1657, the main Australian Standard covering fixed platforms, walkways, stairways and ladders, which was revised in 2013. David identified 20 shortfalls, omissions or areas of potential confusion in the revised standard. These were detailed in a report submitted to Standards Australia when the 2013 standard was released. He gave a number of examples where people working in OHS need to be aware that the current revised AS1657 is inadequate. OHS in Victoria... where are we going? OHS in Victoria … where are we going? Recent developments in some areas of OHS law in Victoria will be discussed by leading OHS lawyer Graham Dent at the CSG lunchtime meeting on 10 October 2017. This will include the relevance of the harmonised WHS laws in Victoria, trends in cases, courts and penalties, and the use of Enforceable Undertakings. Graham will give examples to illustrate these issues and the implications of changes we see going on around us. He will also discuss changes which may have quietly slipped past us. NOTE: Presentation now available to members only. Members & Non members welcome to attend CSG Meetings. What will OHS look like in the future? What jobs are likely to be available and skill sets required? Professor David Caple, a close participant and observer in the safety industry for over 40 years will examine these questions in a lunchtime talk to the Central Safety Group on 12 September. Professor David Caple, a close participant and observer in the safety industry for over 40 years, examined those questions on 12 September 2017. David talked about how the field of workplace safety has evolved, looking at the most important trends and changes over the years. NOTE: Members only, Presentation and Transcript now available View Transcript. There is growing recognition of the value of workplace peer support programs in helping employees at times of critical work incidents. The experience, learnings and benefits of a well-established peer support program will be discussed by Jacqui Bloink, Workplace Wellbeing Program Manager, St Vincent’s Hospital Melbourne. The hospital this year is celebrating the 20th anniversary of its award-winning staff peer support program, marking it as an early supporter of the concept of a team of colleagues helping one another with typical reactions to stressful events. Join us for a special CSG exclusive backstage tour hosted by Chris Hayes, Senior Manager, Venue Operations - Production, Arts Centre Melbourne. Poorly designed work is unsafe work. Many times simple but important aspects are overlooked in the project planning stage, setting the scene for future problems. Someone dedicated to spreading this message is David Trembearth, Safety Business Partner, People and Product Safety, Coles, who will speak to the Central Safety Group on Tuesday 13 June. Members and non members welcome to attend CSG Meetings. Can leaders shape safety culture? A lot is said about ‘safety leadership’. But what specifically can leaders do to shape an organisation’s safety culture? This was discussed by Wayne Richards, General Manager, Group Health Safety Environment & Quality, Transdev Australasia at a lunchtime presentation to the Central Safety Group at 12.15 pm on 9 May. Wayne talked about what is being done in Transdev. He also drew on his experience in senior safety roles with the MFB and the aviation and environmental services sectors. Speakers: Richard Greenwood, RG Chemical Safety. Combustible dust explosions are high consequence, low probability events that lurk in a surprising number of workplaces. The Central Safety Group meetings are like an OHS conference spread over the year. Ten top guest speakers on OHS matters with a conference (Christmas) dinner to round off the event. CSG seems to me to provide the best return on investment for professional development in my area. The organisation provides access to both important guest speakers and to the information opportunities from its varied members. I don’t know anywhere that offers access to OHS experts and regulators for minimum of $70 a year. There are different cost structures for non-members but membership is so cheap, why wouldn’t you join? View our recent presentations Members Only. Like to view presentations? Then join today & enjoy full access! Members can view our library of recent presentations from the CSG monthly meetings. Like to view presentations? Not a member? Then join today and enjoy full access! Missed a presentation, or just like to revisit a presentation from the past? Then look no further, all our archives are available to CSG Members. Get involved with our CSG Network. Join now and start networking today. within their organisations. Join now and start networking today. Membership costs $60 per calendar year ($300 corporate). Members have online access to the presentations, free attendance to meetings & presentations and a complimentary Christmas lunch for the December Meeting. To inquire contact: secretary@centralsafetygroup.com. We welcome members from all sized businesses, organisations and industries. Non-members are always welcome to our monthly meetings / presentations at a cost of $10 per meeting.